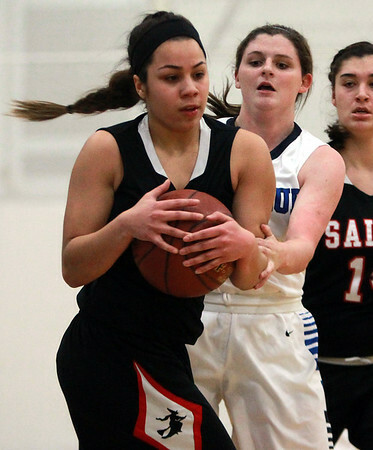 Salem junior Brianna Rodriguez, left, secures a rebound away from Swampscott guard Jaymie Caponigro, right, during the first half of play. DAVID LE/Staff photo. 1/20/15.